Iran is looking for a new Hizbullah in Iraq and seems to have found it in the Mahdi Army. Actually, the mullahs have been seeking to build such a force since Syria and Israel came dangerously close — in their eyes — to reaching a peace agreement in 2008. 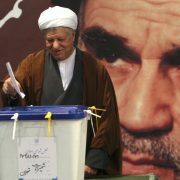 Tehran’s hardliners were appalled at the very thought of Syria quitting the “axis of resistance”. According to Iranian logic, peace between Syr­ia and Israel was as bad as the Assad government collapsing since that would spell disaster for Hezbollah, whose supply lines from Tehran via Damascus would be severed. Syria at the time was using Hizbullah — the “Party of God” — as a bargaining chip to win back the Israeli-occupied sector of the Go­lan Heights while Iran was using it to spread its Islamic revolution and empower Arab Shias across the Middle East. Once the strategic Golan plateau was back in Syrian hands, Damascus did not seem to care whether Hezbollah changed form or shape — or even disappeared altogether but Iran saw things very differently. Syrian-Iranian differences on the future of Hezbollah were not new, although they have now become history because of Hezbollah’s critical support for President Bashar al-As­sad since the Syrian war broke out in 2011. During the Middle East peace process in the mid-1990s, Farouk al- Sharaa, then Syria’s foreign minis­ter, told the Americans that Damas­cus was willing to help transform Hezbollah into a political party — that is, to disarm it. Tehran began preparing a Plan B for its ambitions in the Arab world along the lines of “what if Hezbol­lah departed the scene in Leba­non”. This would only happen, of course, if it became embroiled in a grinding civil war in Lebanon or was defeated in another battle with Israel — or if Syria decided to cut it loose, effectively neutralizing the party since its lifeline from Iran ran through Syria. For Tehran, this involved creating an Arab Shia alternative to Hizbullah, a paramilitary group that could serve Iran’s interests in protecting Shias and spreading Persian influence. The Iranians found that Iraq, a country ruined by the American occupation, was very similar to how war-battered Lebanon was when Hezbollah was created in 1982. Weapons and money were seem­ingly everywhere, thanks to politi­cal and security chaos, and thou­sands of indoctrinated Shias were willing to take up arms against for­eign occupation. 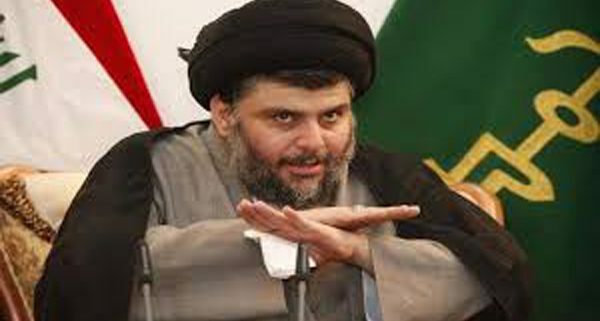 Iran found two Iraqi Shia parties waiting to become another Hizbullah: the Badr Brigades and the Mahdi Army of Shia cleric Muqtada al-Sadr. The Badr Brigades were the Iran-officered military wing of the Iran-based Supreme Council for the Islamic revolution in Iraq formed by Iranian intelligence in 1982. It was funded by Tehran and trained by Iranian officers and its troops fought as part of the Iranian Army throughout the 1980-88 war with Iraq. 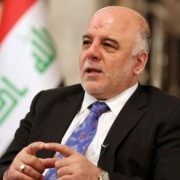 Ordinary Iraqis never forgave Badr’s leaders for killing their own countrymen on orders from Tehran in that conflict and, since the 2003 fall of Saddam Hussein, these fig­ures have been deeply involved in corruption, kidnappings and death squads, forcing Iran to drop them for their Hezbollah II project. The Mahdi Army, founded by al-Sadr in mid-2003, seemed a far better choice for Tehran. 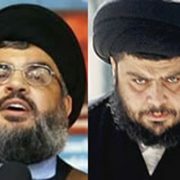 Since his teens, al-Sadr had been greatly in­spired by Hassan Nasrallah, Hizbullah’s charismatic leader, and both men rose to lead their parties at a fairly young age; Nasrallah at 31 in 1994, al-Sadr at 30 in 2003. 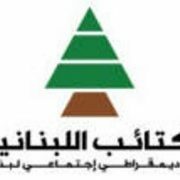 Al-Sadr’s fighters were promoted as war heroes for leading an insurgency against the US occupation in 2004, just as Nasrallah had fought the Israelis from the early 1980s. Al- Sadr marketed himself as a cham­pion of Iraqi independence and, be­cause he was not a creature of Iran like the Badr leaders, he was more acceptable to the Iraqi street. 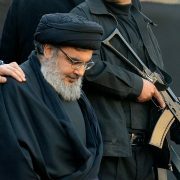 Following Hezbollah’s playbook, he turned his militia into a full-fledged army, expelling the undis­ciplined, the reckless, the corrupt and those with questionable loyal­ties. 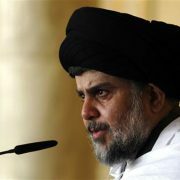 Al-Sadr then retreated to a reli­gious seminary in the holy city of Najaf to elevate his academic cre­dentials, eyeing the rank of mujta­hid (Islamic jurisprudent) instead of the mid-level rank of hojatoleslam that he held then and which did not allow him to issue fatwas. Copying Nasrallah, al-Sadr stopped using the word Shia in his speeches and began marketing himself as an Iraqi nationalist. He and Nasrallah both understand the complexities of the confessional systems in their respective coun­tries and never call for establishing a Shia theocracy, based on the Ira­nian model. Al-Sadr also copied Hezbollah’s massive charity network, monopolizing education, hospitals and fun­draising within the Shia neighbour­hoods, making sure that families in need received monthly stipends from the Mahdi Army. After his followers stormed the Green Zone in May in an unprecedented show of force to demonstrate who really rules Baghdad, it is prudent to ask whether they have, in fact, become Iran’s Hizbullah II and what their role will be in Iraq and the Middle East at large.